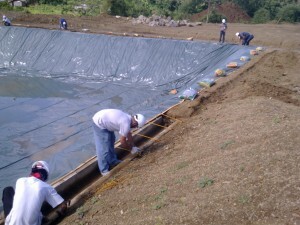 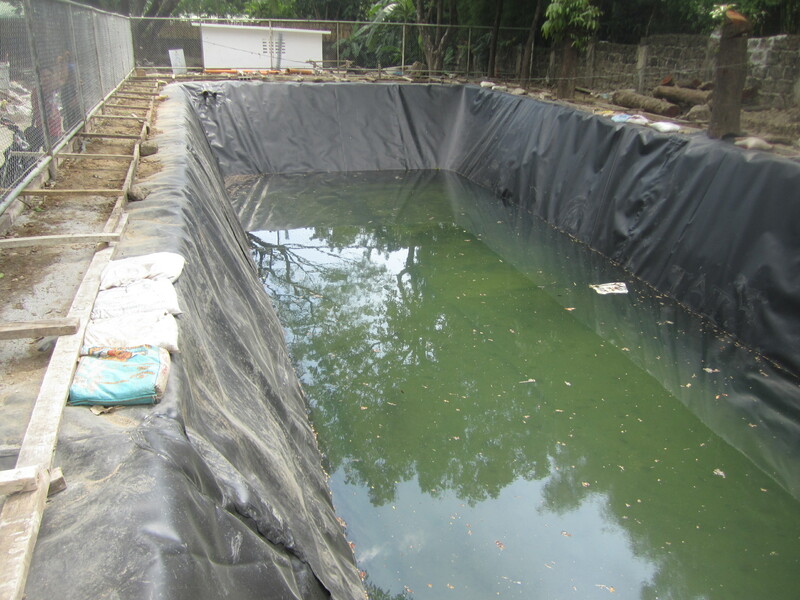 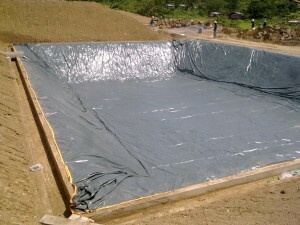 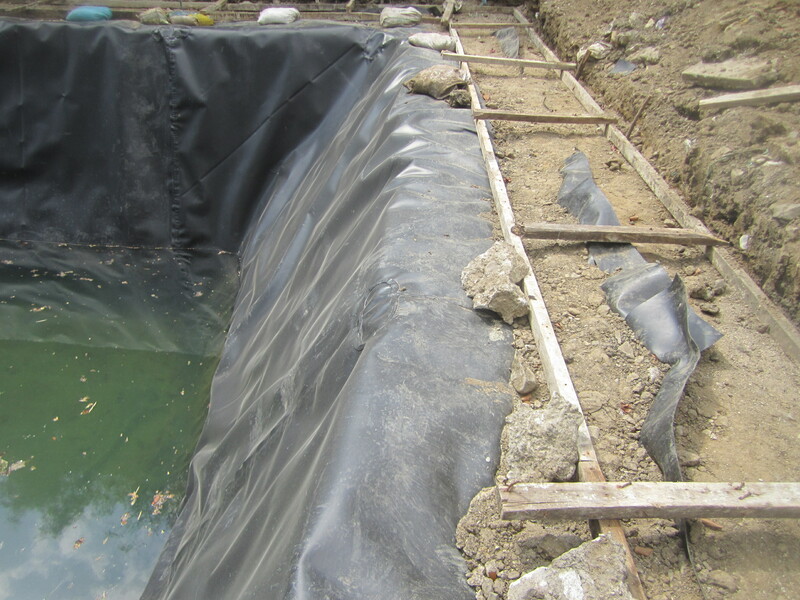 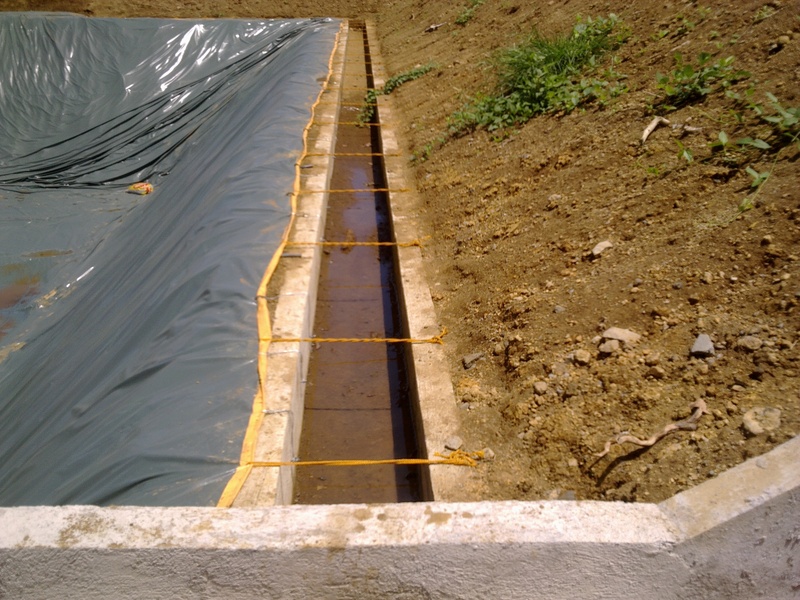 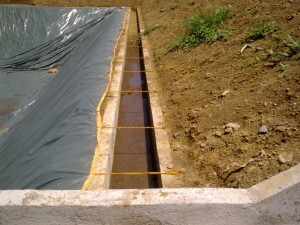 Pond Liner – Fabrimetrics Philippines Inc.
Our Pond Liner is an impermeable geomembrane used for water retention, including the lining of lakes, fish farms, garden ponds and artificial streams in parks and gardens. 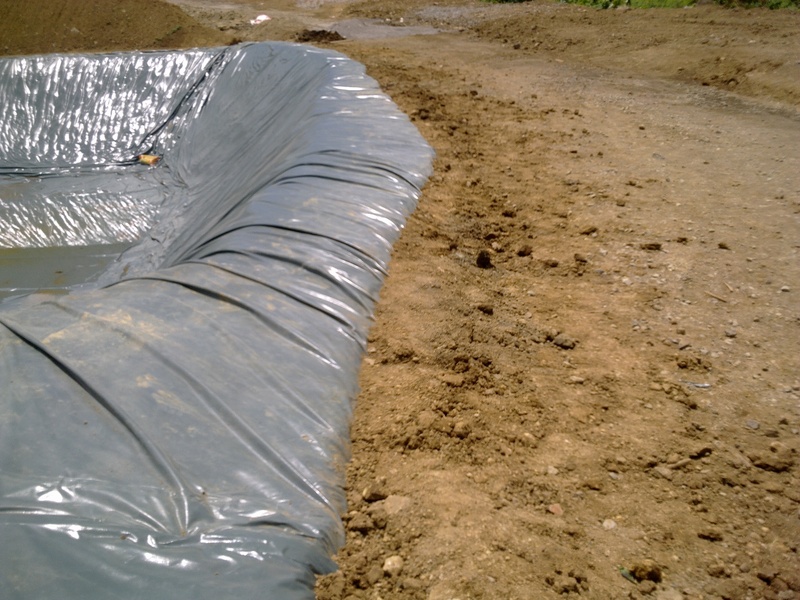 Pond liners need to be protected from sharp objects below the liner and from being punctured by any objects in the water body. 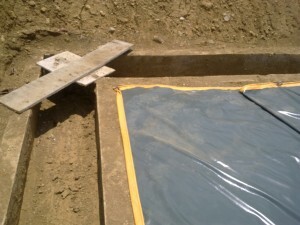 Protection can be provided with layers of sand, concrete, fiber-matting, geotextile, and other materials. 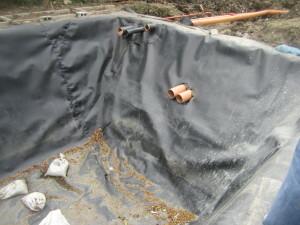 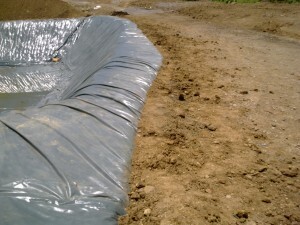 Pond liners are manufactured in rolls of PVC or HDPE. Strips of liner can be seamed or welded together on site or can be pre-fabricated in our factory. 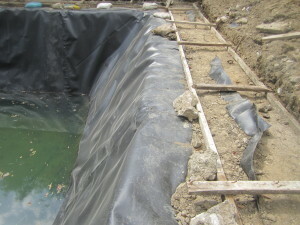 The edge of the pond liner can be rolled over and secured in a trench or it can be fixed to a vertical wall made in brick or concrete.